January is a tough month for everyone! My First aim was to last this month, without borrowing any money from my friends, dipping into my credit card, or letting money worries make me stressed and miserable. I want to make sure that what I have in my home is what I NEED and want, so the de-cluttering commenced. I managed to put a bag together of cosmetic goodies that I would never get around to using, and my work husband took me out for dinner in exchange for the bag of goodies! Win win in my book, a free dinner and more stuff cleared!! Then I started one weekend with my makeup / cosmetics stash - Laura Geller Makeup, and Tarte Cosmetics, how many palettes does a 36 year old need??!! So I put together sets of unused / brand new items, items that I have swatched for my blog but I still haven't used and I took photos of them in flat lays looking all pretty and stuck them on eBay! eBay – my old fail safe – and one I have made over £660 using. Keep all your old packaging from parcels you are sent, tissue paper - the works! Keep them in a plastic container and keep adding to the container - this way you have jiffy bags ready for when things sell. When parceling up your items, I found writing a little note to the recipient thanking them for their purchase and asking them to leave you feedback is a nice little way of interacting with your customers. If you want things to sell quickly - I would list things for 3 days, and made it clear in the description box that people will need to pay straight away if they win the item for it to be posted out the very next day. Don't post internationally, because it gets complicated especially with cosmetics as there are several postal restrictions for selling abroad. Only sell to the UK and you won't have any issues. Don't try and sell more that 3 or 4 nail varnishes as the post office will ask you what's inside your package and if your honest like me, you will tell them and they will charge you extra, or even not accept the parcel if it has too many polishes inside it! Buy sellotape, jiffy bags and tissue paper from the poundshop - it's an inexpensive way to stock up on all your packaging things for eBay. Lastly with regards to eBay; take good quality photos, if the item has been used - say it in the description box of your listing! Don't lie because people will want a refund and then it all gets rather complicated!! Schpock – I’ve purchased a microwave from them before, but I have never sold anything on there. Have any of you? They seem to be able to tailor their items to your area, which cuts out too many listings and helps you find exactly what you want. Gumtree – Funnily enough I found my last home through Gumtree! But since then I haven't bought or sold anything on their, but my friends have and say it's simple and easy to use. Depop – I do have a Depop account 'Here' but I don't use it that often. I prefer eBay for selling as I find it more professional. With Depop I have had people wanting to swap items with me continuaoulsy, which drives me NUTS!! Or the people on there have been incredibly rude. Blog Sales - I have done previous blog sales, but because I'm only a small blogger - I didn't make much money from them. I'm not saying they are bad - but they just haven't worked for me! I know there are probably tons of other sites for buying and selling which I haven't spoken about - but I just thought this post will help some of you to survive these bleak winter months! 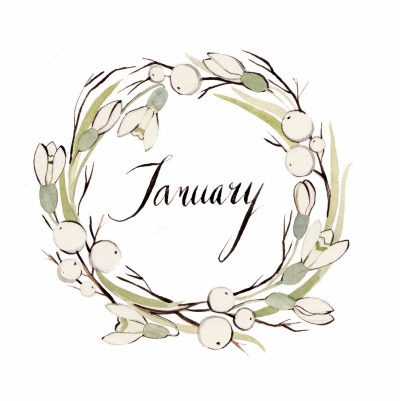 How have you survived January?